A scrappy match littered with errors, but England ran out comfortable winners against a rather tired looking Barbarians side at Twickenham. It wasn’t always pretty, but England showed far more attacking intent and invention than was witnessed in the Six Nations to score eight tries to the Baa-Baas’ four. Chris Ashton’s second try just for before half-time. 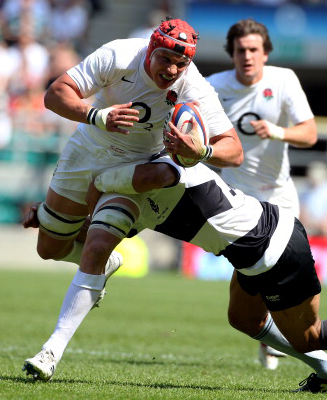 England capitalised on the Barbarians confusion in defence and Dylan Hartley made a break in their 22. He passed inside to Owen Farrell, who then found Ashton on the outside and the conversion meant England led 22-7 at the break. Chris Ashton was named Man of the Match for his hat-trick – his first tries for England since the World Cup – but Tom Johnson really stood out. The Exeter Chiefs flanker worked tirelessly at the breakdown to disrupt Baa-Baas ball and help create a quick flow of possession for England. His support play was exemplary as was his defence and all-round work-rate. In a word – precision. 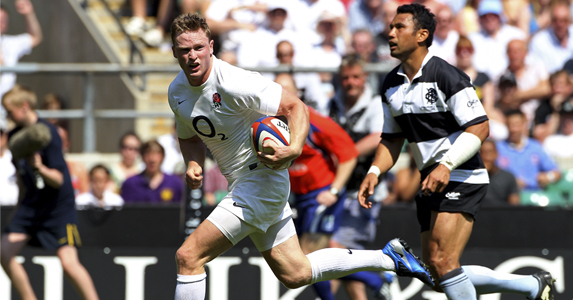 There were too many loose balls and knock-ons when England were trying to string the phases together. Do that against South Africa and Bryan Habana will be sprinting clear to score at the other end of the pitch. If they had been more accurate the try count could have been in double figures. Accuracy also needs to be looked at in defence as they conceded four tries – such lapses will be pounced on by the Boks. Otherwise England’s scrum held up well, they competed physically at the breakdown to turnover ball and their attitude with ball in hand was commendable, always eager to give it a go. Well, apart from when they opted to go for goal from a couple of early pens – after a chorus of boos they switched to the lineout option! As for the Barbarians, they are playing an Ireland XV at Kingsholm in midweek and then face Wales in Cardiff on Saturday – and they will need to look after the ball much better and up their energy levels to be in with a chance of a win. ENGLAND: Ben Foden (Alex Goode 51); Chris Ashton, Brad Barritt, Owen Farrell, Christian Wade; Charlie Hodgson (Jonathan Joseph 51), Lee Dickson (Richard Wigglesworth 61); Matt Stevens (Matt Mullan h-t), Dylan Hartley (Lee Mears 39-41), Paul Doran-Jones (Stevens 76), Mouritz Botha (Joe Launchbury 55), Tom Palmer, Tom Johnson, Carl Fearns (Jamie Gibson 55), Phil Dowson (capt, Lee Mears 68). Tries: Ashton 3, Hartley, Wade, Wigglesworth, Joseph 2. Cons: Farrell 7. Pen: Farrell. 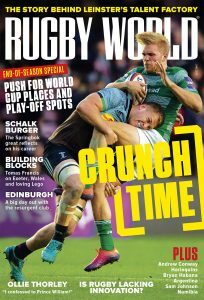 BARBARIANS: Mils Muliaina; Paul Sackey (Sailosi Tagicakibau 46), Casey Laulala, Mike Tindall (Felipe Contepomi 68), IaIn Balshaw; Stephen Donald, Rory Lawson (Jerome Fillol 57); Neemia Tialata (Duncan Jones 59), John Smit (capt, Benoit August 59), John Afoa, Mark Chisholm, Anton van Zyl, Ernst Joubert, Akapusi Qera (Raphael Lakafia 59), John Beattie (Pelu Taele 68). Tries: Muliaina 2, Tindall, Taele. Cons: Donald 2, Contepomi.